Use Rewards for Who Let the Gods Out? 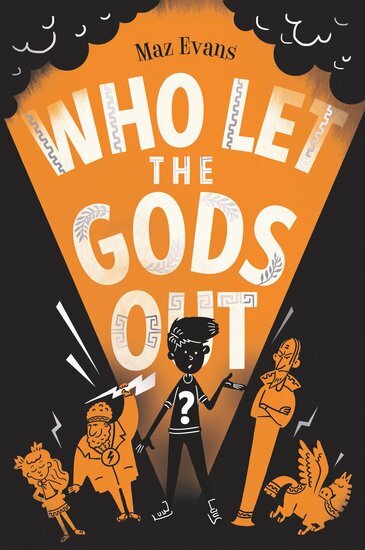 It’s like Percy Jackson – but with even more laughs and more thrills! Greek gods on the loose haven’t made us laugh this much since EVER. Things aren’t going too well for Elliot. His mum is sick, just for starters. But things change in a big way when a shooting star crashes to Earth. It’s not just any old star: it’s Virgo – a Zodiac goddess. When Virgo and Elliot set free an evil death daemon trapped under Stonehenge (oops), they’re forced to beg the Greek gods for help. Problem: Zeus and his crew have spent centuries in cushy retirement. Are these old-timers up to the task of saving the world? Fantastically written, brilliant plot and great characters. Well and truly action packed. I loved it and the children do at school.